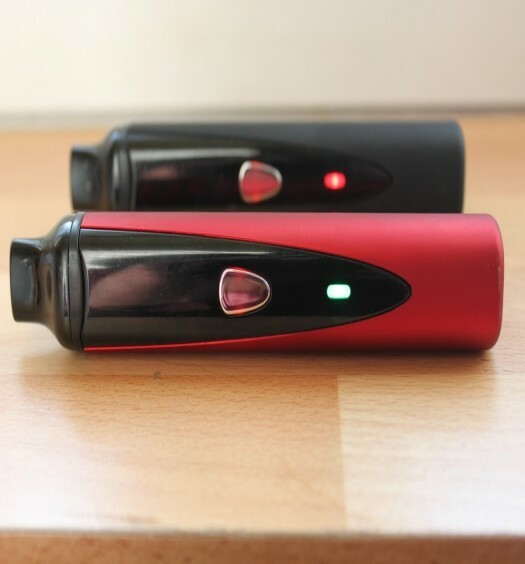 The Sonic portable vaporizer has a digital display that shows both the remaining battery level and temperature setting. Once the temp is set and the heat button pressed, a red light will illuminate and switch to green when ready for use. A flexible draw stem can be screwed into the unit when vaporizing and can be removed for safe transportation. If bent too frequently, the stem may break free from the threading. The heating chamber is held tightly closed with magnets. This insures no herb accidentally spills out. And the Sonic vaporizer is at temperature within a minute, making it a very discreet portable. This vaporizer was designed in California and offers some pretty neat features, such as a built in cleaning brush and small light right by the herb chamber. This allows for accurate loading of the chamber even in the dark. The cleaning brush is conveniently located on the bottom of the unit and discreetly stores away when not in use. The Sonic comes in fives various colors; black, purple, blue, green and orange. All of the units have a sleek silver frame and black draw stem. WHERE SHOULD I SET THE TEMPERATURE? As with all vaporizers, the temperature setting is really a factor of how much vapor production one is looking for. The digital display is nice, as being able to dial it in allows for very accurate vaporization. A good starting point for vaporizing is right around 360° and slowly climb up from there until desired vapor forms. Clean the heating chamber after use to insure the Sonic provides the best tasting vapor every time. Also clean the screen above the heating chamber to prevent the vape from clogging up and losing efficiency. Unscrew the threaded chamber cap and easily remove the screen to slip a brand new one in there. The battery life of the Sonic vaporizer is roughly 45 minutes to just shy of an hour. It is a good idea to plug the unit in for charging after every few uses to insure the battery is ready when you are. The battery meter will start flashing when connected to the charger and will remain solid when complete. If the Sonic is heated and turned off frequently, the battery life will slightly shorten as opposed to use for a few long sessions. CAN THE SONIC BE USED WHILE CHARGING? Yes, the Sonic can be used while connected to the charger. This is convenient if the battery happens to die right in the middle of a vape session. Simply hook it up to keep on vaping and vaping some more. Though it may be a brief inconvenience at the time, the Sonic will charge up and can be removed for portable use once more. 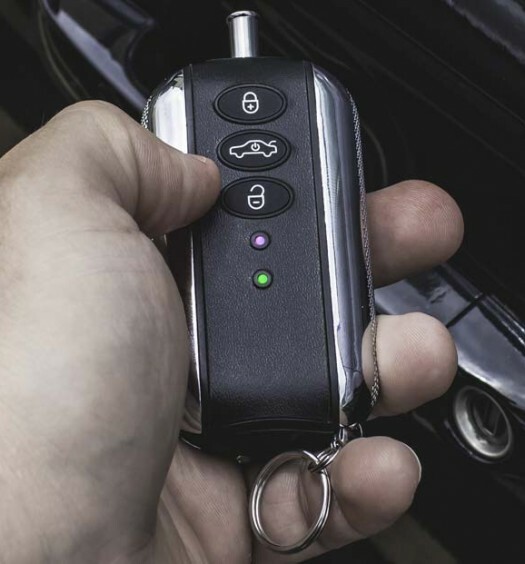 Keep an eye on the battery meter and remember to connect to the charger for peak performance. If using the Sonic at home, just plug it in and never even worry about the remaining battery life. DO I NEED A SCREEN? The Sonic does require a small screen that goes above the heating chamber. This prevents any herbal material from being sucked up into the draw stem during use. The bowl area itself has four small holes at the bottom and does not necessarily require a screen. If using a coarser grind, the herb will not fall through these little holes. However if the herb is ground to a powdery consistency, it is then a good call to toss a screen down into the heating chamber. Always remember to change the screens out after extended use, as this will lengthen the overall life of the Sonic vaporizer. A clean screen will also provide the best tasting vapor possible. Charge the Sonic fully before using it for the first time. Leave the herb a little coarser when vaporizing and a screen will not be required down in the heating chamber. Remember to frequently clean the vape for quality vapor production every time. Unscrew the draw stem when transporting the unit, otherwise it is likely to wear out quickly if bent a lot. Do not use excessive force when attempting to open the herb chamber, as this may cause the hinge to loosen up. Hook it up to the charger when not in use for a battery that is always ready to vaporize. When it comes to portable vaporizers, the Sonic is certainly one to consider. It heats up quick enough to be vaping within a minute and it creates clouds of vapor. It vaporizes accurately with the digital temperature display and it can be changed between Fahrenheit & Celsius. Though the battery life may feel a little lacking at times, the unit can be used while connected to the charger. Plus all of the little benefits, such as the herb chamber light and built in cleaning brush add a lot of value to this vape. The various colors offered are very slick and entire design itself looks really nice. It is compact and with the removable draw stem can be taken pretty much anywhere. The Sonic is a very discreet unit for those who want to vape out on the go. Pack it up, remove the stem and head out the door ready to vaporize. If other portables have not been able to meet your needs, grab a Sonic vaporizer and feel the sonic boom! The Sonic is available for purchase from this trusted retailer. A good vaporizer for those who want a quick heating portable with a digital temperature display. The heating chamber is easy to clean and designed to last. Though the draw stem may break, they can easily be replaced. Piece of garbage. Stopped working after a week. No support from customer service. Rude staff. Complete waste of money.